Business Agility: What is It and How is the Cloud Increasing It? You are here: Home / Cloud Accounting / Business Agility: What is It and How is the Cloud Increasing It? As we move to the second wave of cloud computing, it will be more and more important to identify the true benefits of the cloud to small and medium businesses, such as business agility. As more companies are moving to the cloud, and more cloud vendors are taking shape, businesses will have to make more decisions on how each cloud choice will affect their business. Once a matter of cost savings, as businesses moved from estimates of $100,000 for on-premises servers, licenses, and equipment and $200,000 for staffing each year to that of $50,000 in subscription costs and $150,000 in staffing (estimated) with the cloud; what will the second generation of cloud bring? Thanks to a recent survey shared by Harvard Business Review (HBR) and Forbes, results are showing that cloud computing is officially a bona fide business strategy. According to 527 HBR readers in medium and large organizations throughout the world, business agility is the most important driver driving cloud adoption. Cut the Jargon: What is Business Agility? Succinct definition, they also provide a YouTube video explaining the 10 points driving business agility. Business agility is one of those amorphous, ill-defined states that could mean any number of things. It means more profitability, faster time to market, greater ability to spin up new programs, create new products, hire new people, retain people — pick any. What’s important is not only speed, but doing the right things. How Will the Cloud Improve upon Business Agility? As we have now made headway into ‘what’ business agility does, we’d like to share ‘how’ respondents believe the cloud will improve upon it and how they have already recognized the agile effects of cloud computing on their business. Agility is enabled by a reduction in business complexity, and respondents overwhelmingly believe that cloud will help on this front. Almost three-quarters say cloud will reduce business complexity (24 percent significantly and 47 percent somewhat). A similar percentage believe it will reduce complexity in their company’s IT operations (66 percent) and reduce costs (69 percent). More than half also believe it will increase employee productivity (61 percent) and responsiveness to customers (53 percent). What Benefits are Companies already Seeing? The agility isn’t limited to speculation, either. Companies are already seeing benefits around speed, simplification, and connecting people and data—all things that enable agility. Topping the list of realized benefits are the simplification of internal operations, (37 percent); better delivery of internal resources (33 percent); and new ways for employees to work, connect, and collaborate (31 percent). These were followed by faster rollout of new business initiatives to exploit new opportunities (i.e., agility, at 23 percent) and improved ability to acquire, share, analyze, and act on data (including “big data,” also at 23 percent). Close to two-thirds say that cloud either increases security, or that its impact on security is neutral. This shows that enterprises are ready for the cloud and trust that it is more than a risky new technology. As enterprises continue their move to the cloud, the benefits come from more than cost. The true benefit comes from a business’s ability to gain the competitive advantage in the market. Close to two-thirds (65 percent) say that cloud either increases security (24 percent somewhat and 11.5 percent significantly) or that its impact on security is neutral (29.5 percent). 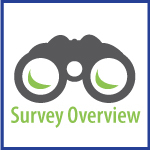 For the full survey, please click here. InCloud360 hopes that this will help you to recognize the true benefits of cloud computing to organizational efficiency. We invite you to learn more about cloud computing by downloading our guide to cloud IT and contacting us to see our services to your business.